Researchers at The University of Manchester have created highly-miniaturized force sensors using graphene membranes. The state-of-the-art sensors can recognize tiny variations in pressure across a wide variety of miniscule pressures. According to a report published in the journal in Nanoscale, the new sensor was made possible by developing a way to effectively float an atom-thick graphene membrane mere nanometers above a silicon chip. When a significant amount of force prods this membrane closer to the exterior of the chip, it causes a corollary change in capacitance that can be measured. Through the use of thousands of such membranes located alongside each other, the team showed it could make a device capable of very high sensitivity to pressure shifts. The study team said graphene's extremely thin structure, high degree of flexibility and extraordinary strength allowed for the development of this new groundbreaking technology. 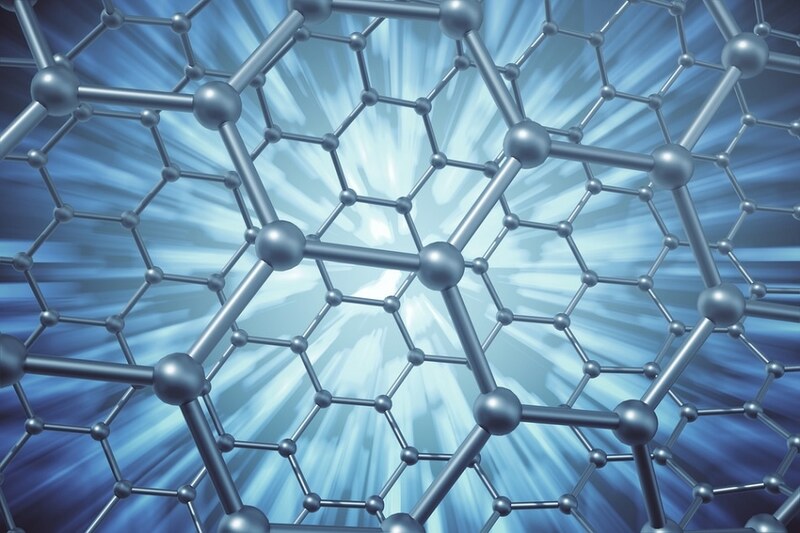 However, the Researchers noted that they had to overcome some of graphene’s innate flaws in order to create their sensor. Despite its amazing strength, a single atomic layer thin graphene membrane is impossible to grow and handle without causing cracks and pin-holes, which would lead to the failure of the device. To be able to address this challenge, the study team placed an extremely thin polymer support layer underneath the graphene membrane and above the silicon chip. The support layer allowed the team to pack thousands of floating graphene membranes tightly together into a small space, the key step to developing their high-performance pressure sensor. Acknowledging the countless commercial possibilities of their new sensor, the Researchers behind the technology recently launched a startup company, Atomic Mechanics. Study Authors Christian Berger and Daniel Melendrez-Armada were awarded £50,000 to help set-up their new graphene business venture. Our sensor can find a range of applications, such as in engines, industrial plants and even household Heating, ventilation, and air conditioning (HVAC) systems, which offers us a large market. The technology can also be used to develop next-generation touch screens for consumer electronics and in new types of medical devices. News of the cutting-edge pressure sensor comes just one day after Researchers at Chalmers University in Sweden announced their use of graphene to produce high-speed, flexible electronics. According to a report published in the journal Applied Physics Letters, the Chalmers team was able to develop a flexible detector for terahertz frequencies that could enable higher-bandwidth wireless communications and more robust security applications. The terahertz range of the electromagnetic spectrum, spanning from 100 gigahertz to 10 terahertz, has a great deal of potential applications, from radio astronomy to healthcare. The new detector described in the study can pick up signals in the frequency range 330 to 500 gigahertz, the Researchers said. Translucent and flexible, the new terahertz detector could be used for imaging, wireless communication and identifying various unknown substances. The device might also be used in a healthcare setting, the study team said. For instance, a device might use terahertz waves to identify cancer in patients. The Chalmers team also noted that graphene's distinctive electronic features, coupled with its flexible nature, make it an ideal material to incorporate into plastic and fabric, which is an important factor for creating everyday items that can connect to the internet. This growing development of connected items is commonly referred to as the Internet of Things. The Chalmers detector received significant attention at the recent EU Tallinn Digital Summit, where multiple technological breakthroughs made possible via graphene were presented. Brett Smith is an American freelance writer with a bachelor’s degree in journalism from Buffalo State College and has 8 years of experience working in a professional laboratory.